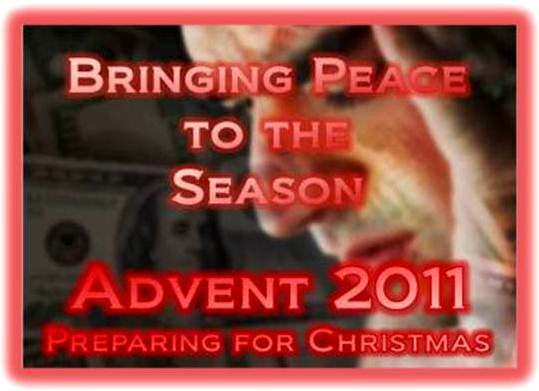 As we continue our Advent 2011 – Preparing for Christmas series, it is important to remember that not everyone in your congregations and communities are walking around with nothing but visions of sugarplums dancing in their heads. Some of your church members are most likely dreading the coming holiday season because they are struggling financially or spiritually. Economists say recovery from the recession has started, but many people are still struggling with unemployment or underemployment. Others might be alright financially but will be feeling spiritually drained from all of the commercialism and busyness of the season. So what can the church do to serve those who are less than jolly this Christmas? It could be as simple as making a few adjustments to your holiday events that will help bring peace and joy to those who need it most this year. Here are four ways that we came across in our interwebernet searches to help make the holidays happier and more meaningful, and, as always, we’d love to hear from and share some of yours as well. 1. 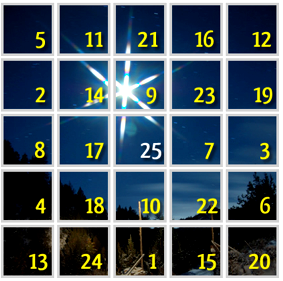 Create interactive, online gratitude calendars during Advent. Families can add meaning to Advent and Christmas without spending money by creating a no-cost gratitude calendar and consciously appreciating what they do have. Invite families to use the computers at your church to create the calendars so that you include those who don’t have a computer or internet access at home. Post the how-to and links on your church website and encourage those with computers to create calendars at home. Create colorful templates with a calendar-management program. Decorate them with bright holiday themes. Free calendar-management software programs are offered by Mozilla. You also can use free Google calendaring tools. Availability and features are subject to system software. Provide a list of “thoughts of thanks” in a separate text or Microsoft Word file so calendar creators can post them to each date. On each day of Advent, a new “thought of thanks” will pop up. Or, on Dec. 1, designate days for each family member to write his or her own “thought of thanks” and post it on that date. They can take turns writing and sharing throughout the month. It’s a great way to get kids to think about the true meaning of the season. 2. Remind your congregation of inexpensive and meaningful giving opportunities through existing ministries. Money is tight so make your congregation’s gift giving – whatever their ability – go further. Encourage donations to alternative gift programs (for example, The United Methodist Church’s “Imagine No Malaria” campaign) as an affordable and meaningful change from expensive, store-bought gifts. Choose several Sundays and set up “giving stations” for each mission effort. Encourage church members to bring their lists of gift recipients with them to church. After the worship service, have cards at each station ready for gift givers to fill in a Christmas greeting and explanation of the gift made in the recipient’s name. They can address the cards, stamp them and put them in a “mailbox” set up at the station, ready for a volunteer to take to the post office afterward. 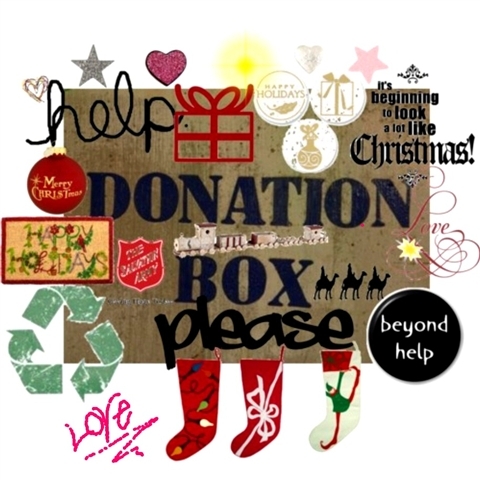 For those missions with physical gifts to purchase, provide small boxes, wrapping paper, tape and gift labels. This effort will both increase giving to church-sponsored charities and make gift giving less energy- and time-consuming, allowing members more time to enjoy and appreciate the holidays. If you have the space and the equipment, a unique slant on this idea is to show three classic holiday movies at the same time at your church or community center - gear one toward adults, one toward younger kids and one toward teens. Show them in three different areas of the church. Include an intermission mixer for all three groups to interact. Give door prizes or other small, donated gifts, such as items from craft ministries or gift certificates from local restaurants and shops. You will create an inexpensive “family night out” and provide some “grown-up” time for cash-strapped parents. Of course, if space is limited, but you still wanted to use a trinity of Christmas classics, you could just make it a triple feature. 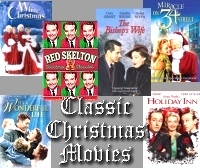 A host of classic holiday movies have themes that support the spiritual basis of Christmas. Please remember though that movies are copyrighted, so you must obtain proper licensing before showing them in your church – even if you are not charging admission. A good resource for the license is United Methodist Communication’s CVLI (Christian Video Licensing International) Store. CVLI also partners with ScreenVue, which offers packages of movie clips, scene summaries, spiritual themes, references and more. ScreenVue lists 68 Christmas movie citations within its online database of material that can be used for movie nights, sermons and classroom teaching. Provide a variety of daily, age-appropriate devotions using an Advent wreath or candles or a Nativity set. Talk with children about economic pressures the family is facing. Invite all family members to choose which traditions are most important. Offer ideas and opportunities for handmade gifts that cost little or nothing. Encourage participation in church-sponsored worship services, study times and fun events, along with secular activities. Adding a new promotional twist to your church’s traditional Advent and Christmas schedules and including one or two new activities that are fun and inexpensive will give stressed-out families many opportunities to find peace and meaning this holiday season. Watch for more along this vein later this week when Rev. Kathy Noble, editor, Interpreter and Interpreter OnLine, shares her thoughts and insights on how the church can help simplify the holidays.